Sub-zero heroes Manny, Diego, and Sid embark upon a high-seas adventure after their continent is set adrift. Using an iceberg as a ship, they encounter sea creatures and battle pirates as they try to reunite with their herd. In the wake of these upheavals, Sid reunites with his cantankerous Granny, and the herd encounters a ragtag menagerie of seafaring pirates determined to stop them from returning home. 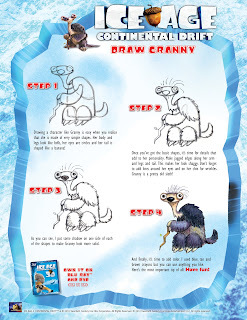 I've watched the movie Ice Age since before I had kids. I remember watching the first movie with my younger siblings who are now all adults. Ten years later I'm still enjoying the movies, but now with my kids. When we got the opportunity to watch Ice Age Continental Drift I was pretty excited. My kids absolutely loved the previous movies and this was no different. 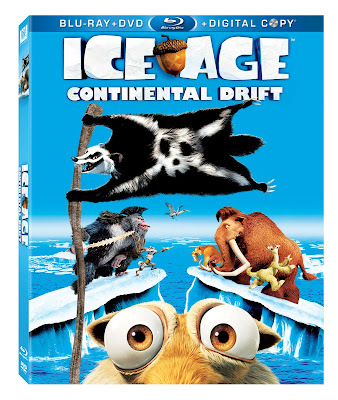 Filled with tons of laughter, a great storyline and with an awesome cast, Ice Age Continental Drift is a perfect family movie for everyone to enjoy. Not only is this latest addition fun for kids, but adults too. I love that there was adult humor in this movie. The new addition to the cast did a pretty good job fitting in as well. My kids loved seeing Manny's daughter and loved that Diego finally found a love interest, it was great and this would be a great add to your collection and a great gift since Christmas is around the corner. 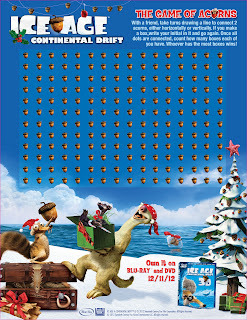 Look for Ice Age: Continental Drift coming to stores on DVD and Blu-ray December 11th! Please enjoy these two free activity sheets for your kids to enjoy and something for them to look forward to before the movie is out at stores! Just click on the printable you want and print out, enjoy! Disclosure: All opinions are my own. I received Ice Age: Continental Drift at no cost for the purpose of this review. No other compensation was received.